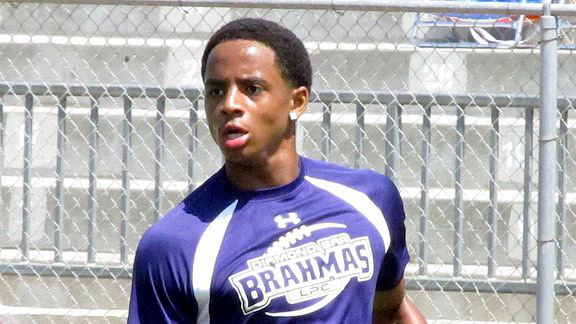 Rapper Snoop Dogg's son cordell broadus has been offered a football scholarship by UCLA after P.Diddy's son justin combs was offfered a football schorlarship by the same university last month. The sophomore to be is ready to make a name for himself on the football field. Broadus, transferred to Diamond Bar from Long Beach Poly last fall and was a standout on the Brahmas freshmen team. “We’re expecting him to really lead us the next three years,” Diamond Bar High School football coach Ryan Maine told ESPN. Justin combs was was heavily critisized for accepting the scholarship because of his father's(P Diddy) financial status.